Step 1 - Insert your sewing machine needle into the back end of the Needle Threader. 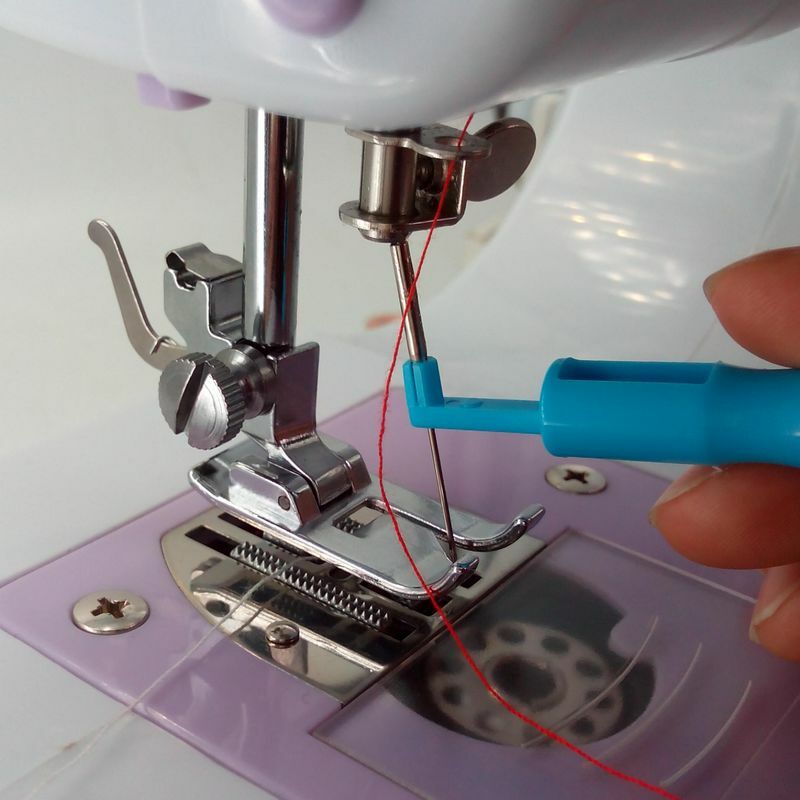 Step 2 - Use Needle Threader to insert the needle into the sewing machine. Secure needle into the sewing machine. 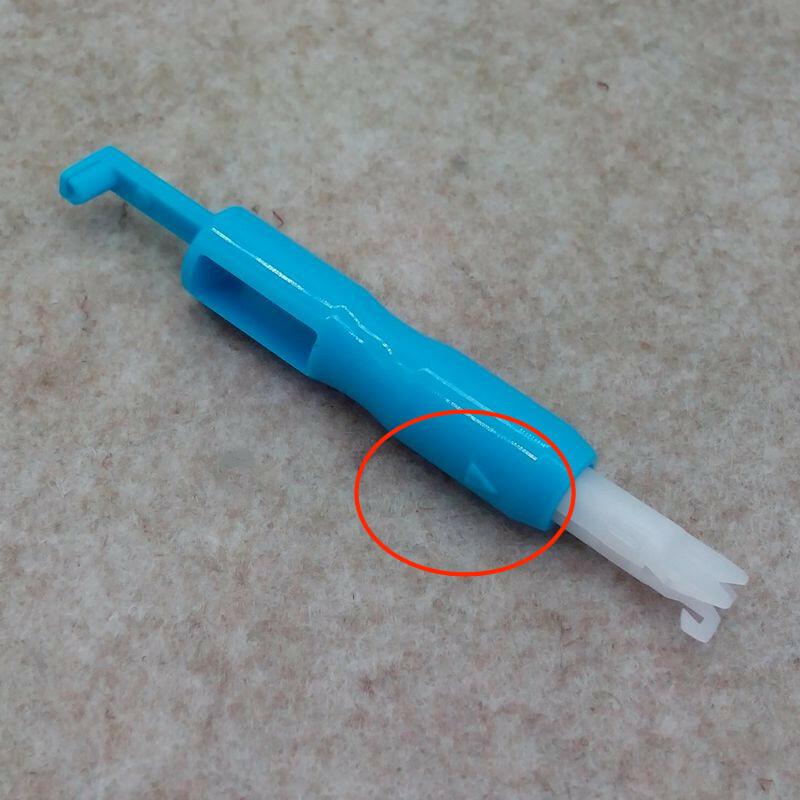 Remove Needle Threader. Step 1 - At the busy end there is a "Y" section that looks like a cross of slots. Hold the implement so either arrow (the arrows are the same color as the handle) are vertically aligned up and down. Step 2 - Then slide a section of your thread into a somewhat deep horizontal slot, push it back into the device (having it pulled tight can be helpful). 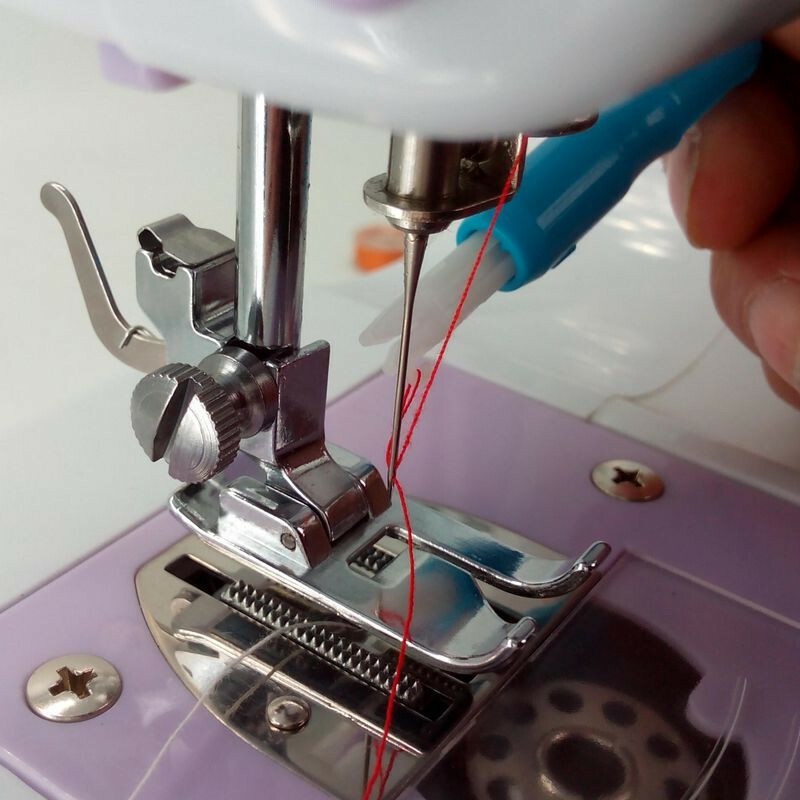 Step 3 - Now, place the busy end (with the slotted thread) onto the face of the sewing machine needle, slowly sliding downward WHILE slightly pushing it into the needle shaft. When the eye of the needle is engaged, gently push. This will have the plastic cross move back into the handle, and expose a flat, metal wire/stick, that will push the thread through the eye of the needle, forming a small loop. Step 4 - You can try to grasp the loop, or wait, but SLOWLY, release the tension by pulling back (away from the needle) on the device. Slow is critical here, really. 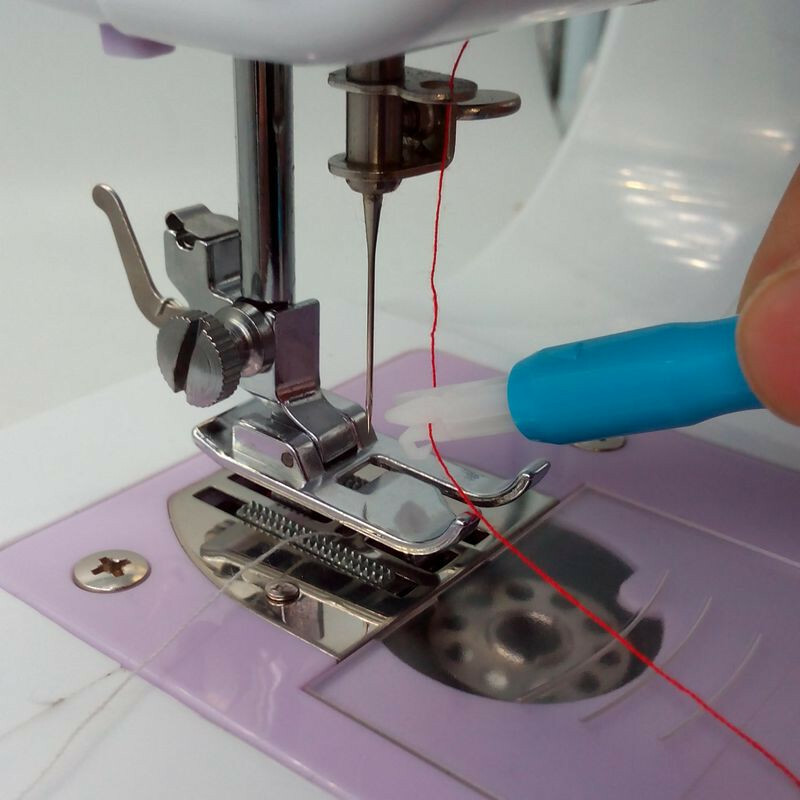 You manually pull the loop of thread back through the needle, using the little hook on the end of the needle threader, or whatever device you like such as a seam ripper. Viola! It ONLY TAKES SECONDS and you're threaded again. Happy sewing.